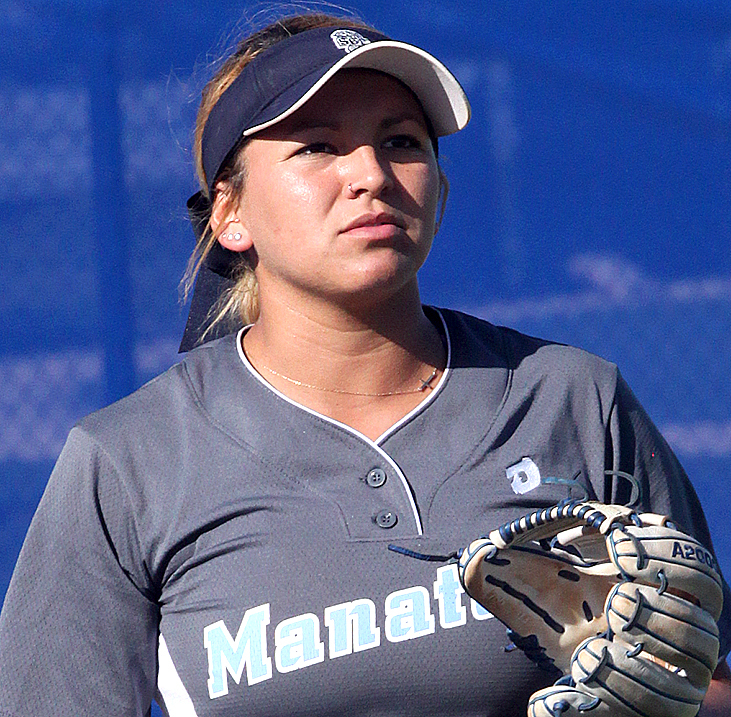 A big day at the plate and on the base paths from Cheyenne Nunez helped State College of Florida, Manatee-Sarasota, sweep South Florida State College in a softball doubleheader April 5 in Bradenton. Nunez, from the Brighton Reservation, had four hits, three runs scored, one RBI and four stolen bases in the doubleheader. In game one, Nunez went 2-for-3 with a double, two runs scored and two stolen bases. In the nightcap, she had two hits, one RBI, one run scored and two stolen bases. She started both games in right field and batted out of the No. 2 spot. Nunez’s offensive production out of the No. 2 spot continued April 17 in an 8-3 win against South Florida. She went 2-for-2 with a sacrifice, RBI, run scored and stolen base as the Manatees upped their record to 35-18. Nunez, a former standout at Okeechobee High School, leads SCF in stolen bases with 19 and on base percentage at .457. She’s batting .357 with 25 hits and 8 RBI in 30 games. She returned to action March 13 after missing a month due to an injury.